NIFS trainers are degreed and certified and the best in the industry! Training Philosophy: Define your limits, and I will help you break through them. I look forward to assisting you reach your fitness goals. 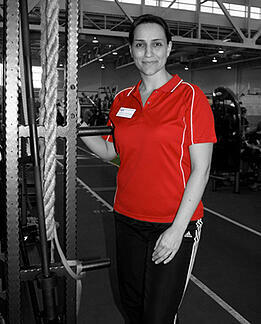 As a personal trainer, I work with and accommodate any fitness level. I believe that we are all athletes, just at different levels! It's never "hard" just challenging. Let me challenge you to get fit! I work with anyone looking to CHALLENGE themselves to get stronger, fitter, and achieve a goal. I have been involved in sports since childhood. While at MSU, I accomplished many of my goals as a basketball player. 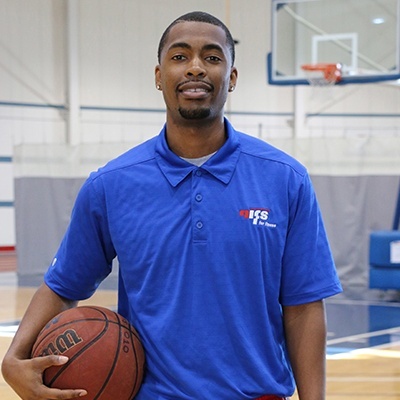 I finished my college career as the school's all-time leader for points and rebounds. After college, I went to Sweden and played basketball professionally for more than four years. I coached basketball at Michigan Tech University and IUPUI for a combined 14 years. I transitioned into fitness. My passion for fitness has never wavered. I enjoy investigating the newest fitness trend to make you function better and look your best. 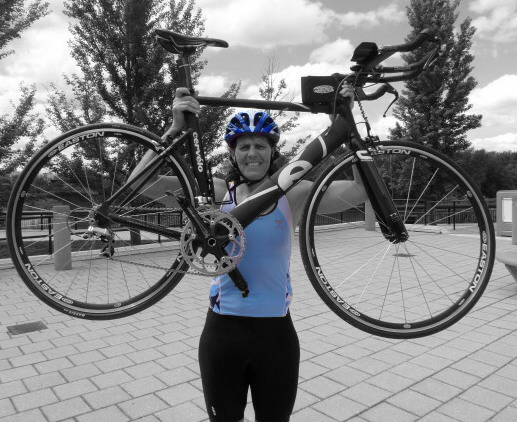 Kris is the instructor of NIFS Go Girl Triathlon Training Program. 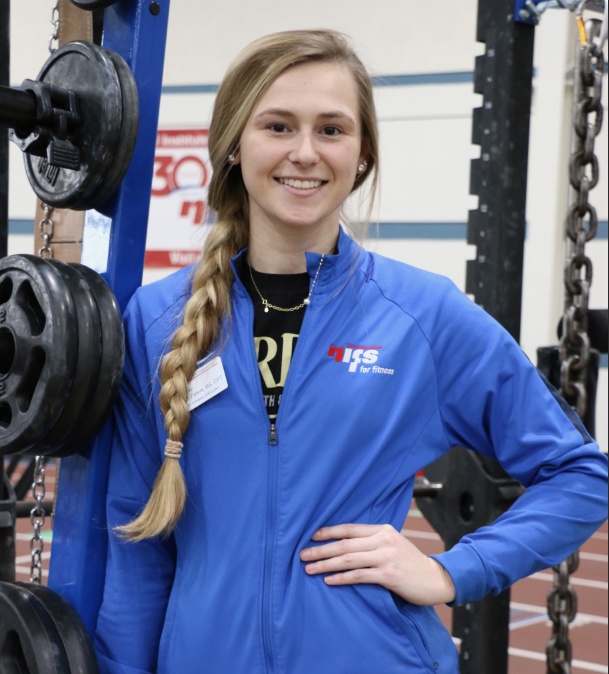 Experience & Background: Kaci has been personal training since 2012. She has worked with a variety of clientele from athletes to older adults. 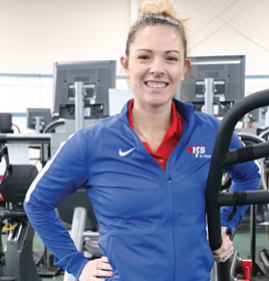 Kaci enjoys helping her clients reach their fitness goals. 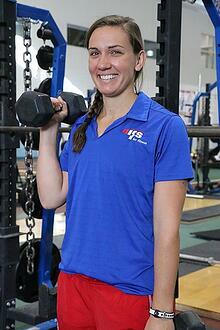 Although she has only been personal training a few years she has always been involved in the fitness field. 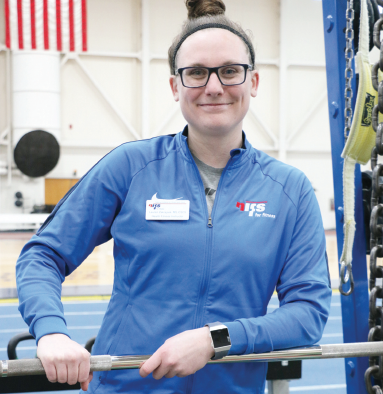 She was a collegiate athlete in both volleyball and track. David is NIFS Healthy Lifestyle Coordinator. Training Philosophy: “The Dictionary is the only place where SUCCESS comes before WORK”. Therefore, you will have to put forward the proper time and effort in order to achieve your fitness goals. I believe in order to look like an athlete you should train like an athlete. Training involves more than walking past a machine you have done before and completing as many sets as you can until your limbs fall off. Instead you must strategically plan and carry out exercises that will maximize your results and performance. I incorporate heavy lifting, speed and agility, as well as concentrated focus on proper technique with every individual I train with. Fitness training has never been a job to me, it has always been my passion. Towards the end of my sophomore year at Indiana University I became very busy with school and work which eventually lead to me gaining 55lbs from the beginning of my freshman year. Frustrated with my physical appearance I decided to take my training to the next level. Using various exercise modalities I put together a system that helped me lose excess body fat while gaining lean muscle at the same time which got me into the best shape of my life. I am here to help others achieve results similar to mine, while also highlighting all the positive aspects of being physically fit. Training Philosophy: I believe that people are so much more capable than they believe themselves to be. I will show you what you are capable of through fitness sessions packed full of cutting edge and proven methods designed specifically to help you reach your desired outcomes. Adding your commitment and tenacity to my expertise and motivation, we will make a great team. Training Philosophy: The focus on purposeful, goal oriented exercise through meaningful and thorough instruction is key for an individual seeking professional help while pursuing a lifestyle of healthy fitness and wellness. I want your experience here at NIFS to not only help you achieve fitness prosperity, but also develop self-motivation and core fitness values. Training Philosophy: Exercise is a highly individualized activity that needs to be altered in order to fit your goals, needs and enjoyment. No matter your current training status, improvements can be made with proper structure. It is never too late to start! I graduated in May 2013 with a Master of Science degree in Kinesiology from IUPUI by way of my undergraduate degree in Exercise Science from Valparaiso University. At Valpo, I played football for four years and interned with the head strength and conditioning coach. I bring the same controlled enthusiasm to your workout that I used each time I stepped into the weight room or football field.My specialty is variety. 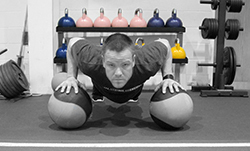 I have experience with clients from all different fitness backgrounds and levels. 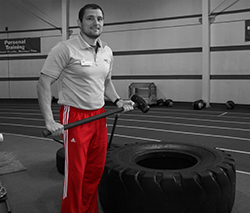 I am one of the Athletic Performance coaches for the IUPUI sports teams but also have clients with different ranges of general fitness desires. No matter what you are hoping to achieve, I will guide you in the right direction. Rick began exercising at age ten by lifting scrapes of steel (in place of dumbbells and barbells) that his uncle brought home from his factory job. Fifty-eight years later, the quest continues. The journey has traveled through the worlds of bodybuilding, power lifting, martial arts, distance running, cycling and a thirty year long involvement with rowing. (WKC). Former Russian Kettlebell Certified (RKC) 2002 to 2013, one of the first Kettlebell Instructors in the country and the first in Indiana". Training Philosophy: You supply the desire and commitment - I supply the methods, means and motivation. My role as your personal trainer is to help remove the overwhelming aspects of a fitness regimen so that it becomes an approachable and attainable undertaking. 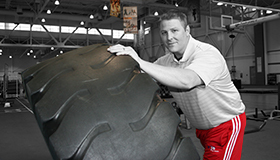 I have extensive experience working with individuals of many different levels of ability, but I specialize in athletic performance and those who want to build upon their athletic edge. 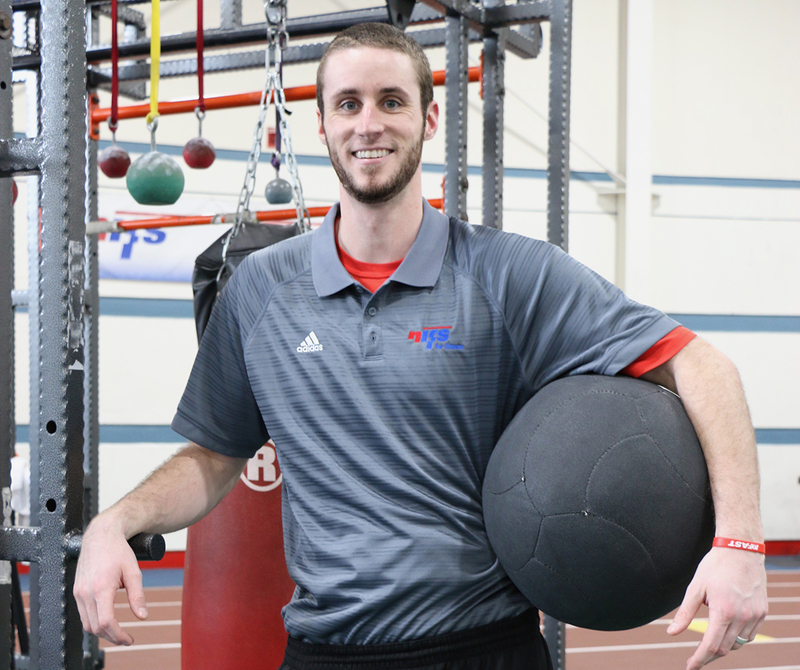 If you are looking to get out of your old fitness routine, or want a higher intensity of a workout, I combine my experience with both knowledge in exercise science, as well as a creative approach in general, to develop time efficient and productive high intensities that match your goals and ambitions. corpore sano—A famous Latin quotation often translated as, "A sound mind in a sound body." Personal Training is my passion. I will push you to your personal best so you will get the results you want and learn how to become a master of your own body. I was born and raised in Germany and I have a Bachelors Degree as a Fitness Economist. 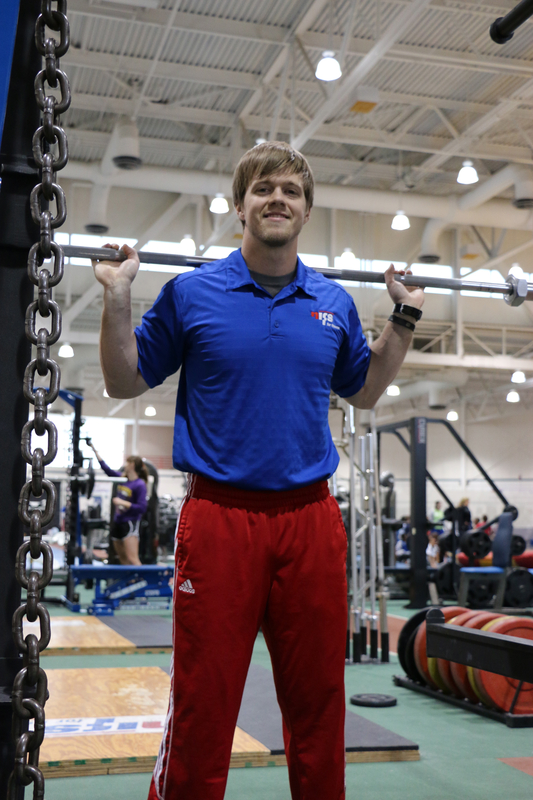 It's a mix of the Bachelor of Sports Management and Bachelor of Sport and Exercise Science. I came to the United States in 2008 and have been working as a trainer and group fitness instructor most of my life. I have been a trainer since 2010. 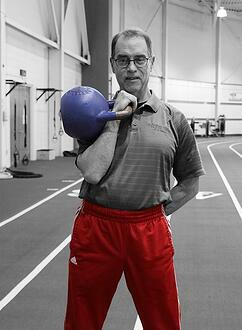 I have worked with a variety of clients ranging from athletes to the older population. My passion isn’t just helping you achieve certain goals, it’s helping to push yourself to be the best version of you. Health and fitness has been a huge part of my life since I started playing sports at the age of 5 all the way to my time playing basketball through college and my short time in Europe. I love how no matter what is going on in your day or life, exercise is always an outlet that is there all the time. I look forward to working with you to develop a program that is going to suit your needs and wants as an individual.